In a defunct shopping mall in Kansas, 91-year-old Sonia Warshawski runs the only remaining store, a tailor shop that she has owned for more than 30 years. When Sonia — a great-grandmother, businesswoman, and Holocaust survivor — is served an eviction notice, the specter of impending retirement prompts her to revisit her harrowing past as a refugee and witness to genocide. For a woman who admits that she stays busy “to keep the dark parts away,” dredging up long-forgotten fears motivates her to dedicate herself to speaking publicly about her struggles to come to terms with her experiences. 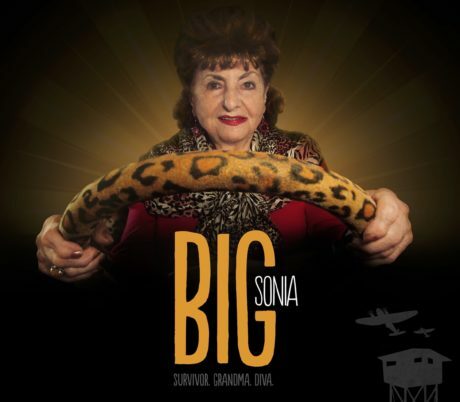 Big Sonia explores what it means to be a survivor. A poignant story of generational trauma and healing, the film offers a laugh-out-loud-funny portrait of the power of love to triumph over bigotry, and the power of truth-telling to heal us all. Will you let your trauma define you? Or will your past make you stronger? The time and place to see Big Sonia is in the article but I did not spot the date. Thank you Judy! I have added the date, Tuesday February 5.